Home→Discernment→What Do You Want from Me? This is a real question. I’ve been writing this blog off and on for almost seven years, and I have no idea what I’m doing. First I wrote reflections on things in the news that caught my attention, as well as observations about what it’s like to live life as me. 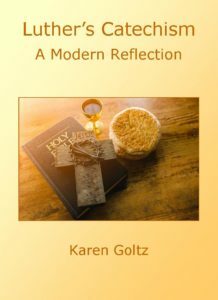 Then I got into some theology, followed by writing, peppered with homeschooling insights and experiences. I’ve begun series and abandoned them (not to mention other entire blogs I’ve launched then quit). I wrote on politics during the 2012 presidential campaign, but remained mostly silent during the atrocity that was 2016. I just couldn’t write intelligent commentary on that whole farce. After years of no coherent theme, inconsistent postings, and broken promises, I really want to get this right. So I’m asking: What do you want from me? Of course, the biggest problem with me asking this question is the fact that I have no subscribers. None. Zero. Will anyone actually answer me? I’ll post this on Facebook, where I might get a response from a couple of friends, and Twitter, where it will be ignored, and that’s it. But it’s a question I need answered. If you’ve read this far, do me a favor. Two favors, actually. First, answer the question in the comments here or on whatever social media you saw this. Second, share this on your own newsfeed with a personal request that people read and answer this. Some of you have been reading off and on for years. Thank you. You know which of my posts have had the most impact on you. Tell me. If you’ve read this far and have no clue who I am, THANK YOU!!! I want your opinion, too. I’m not going to ask you to read through six and a half years of blog posts to decide what you like best, so I’ve included links below to some of my old stuff that I think gives a pretty good representation of what I’ve done. If a title interests you, read it. Or click through the category cloud to the right. Let me know what speaks to you. And if most of you tell me to shut up and go away, I’ll take that under advisement. But I make no promises. So take a look at some of my old stuff, or read the ‘About Me’ section and just tell me what you’d like me to post about, and how often. And thank you for your time and your engagement. Will God Fix Climate Change?